Discussion in 'NoFap Technical Support' started by bastion, Jan 4, 2016. I pledge my sword to the Order of the Wallflower, from today until the day I die. I shall use all my strength to fight the hordes of PMO, to inspire myself and others, to regain the domain of our castles. 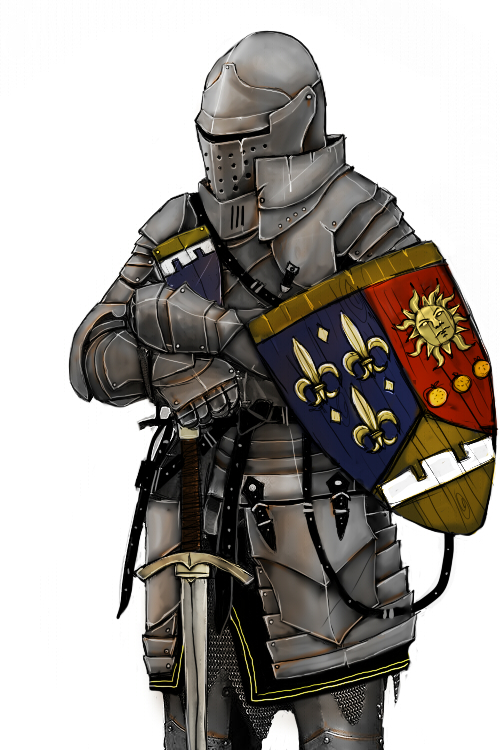 I shall promote the knightly values of strength, purity, chivalry and generosity. I shall improve myself daily with meditation, exercise and avoiding the dark void that is the web. I shall be as strong as possible to help others, but humble to recognize when I need the help of my fellow men. Welcome to the Order, OMB! You are now officially a Knight. Stay true. Thumbs up for bastions Face Off mode!!! End of a strange day. I made myself this badge "Mad Monkey" - and I felt like one! Well, I decided to renew my pledge. Maybe a little different: less trying to strike a medieval note but with more decency. At the same time I want to show my support to this group. And I encourage you to promote the idea of chivalry and other virtues and embrace it. I swear I will never give up on myself. I promise myself Patience, for I need more of it. Patience for myself, patience for others. I don't want to fight against others, especially I don't want to fight against my loved ones. I promise myself Respect. Respect is what I will give, respect is what I will earn. I promise myself bravery, for I need it in this world and the world need it. I promise myself a sharp sword, for if I treat it the right way and sharpen it regularly, it will stay sharp. As a modern knight I will aspire toward Love, Friendship, Happiness and true Chivalry. I don't live in the Medieval and I haven't had a master to teach me, so I have to find out for myself what true Chivalry means to me. There are many role models for true Chivalry. One are the Samurai. For them Chivalry didn't mean just to have high ideals, but rather to be ready all the time and act without thinking according to those ideals when it comes necessary. Now I lay down my old tattered armor. Instead I put on a new shining armor. It symbolizes: I have my pledge (what is said and what can't be said) always with me. And regardless where I am, what I wear, how people look at me, what people might think of me, regardless to whom I talk to or what is happening, I wear this armor, which enrobes me, protects me, gives me responsibility. The words that I have written here are not of importance. They are like a sponge. Important is only what's in the heart. Hear hear! Greetings lads and laddettes. To be totally honest. This is a really cool and interesting spin on this website. Very cool and I like it. Every man and woman is a soldier defending that which they see as treasure, themselves. Gotta love midevil stuff. I pledge myself to the order of the wallflower. May my bodies zen temple be protected against the evil siege of the Grotesque PMO. May my light never die. May it be a beacon for those lost in the woods. And may it be a fountain of replenishment for those weary from battle! Huzzah! Huzzah! Huzzah! I promise that I will use all my wisdom to avert urges. When they hit me however I promise that I will fight them as if they were stinky orcs. But when I loose it, when the orcs get me, I promise that I won't give up and that I will fear no pain but take any action that sets me free. And if my balls become blue, I will rather rage and wander around like a shadow of myself then succumb to PMO and destructive lies*! 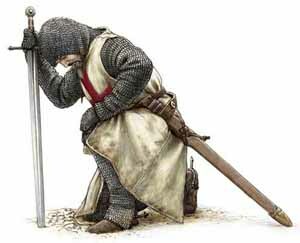 I further promise that I will except this burden and behave like a proud knight on a mission. And I will support anyone who is on a similar mission with what I can. * I'm talking of those lies that we tell ourselves in order to convince ourselves of misdeed, even if we don't believe it. For example the infamous "last time". when do women start to notice you more? Interesting, to Knighthood I go. I have been a wanderer seeking knowledge of much of the outside world. I had heard of the PMO armies, but I never thought that they would come for me. Once I was attacked, I knew that I was never safe again. I take shelter within the Order of the Wallflower, and pledge myself to it. Order. With my soul itself, I shall purify myself and clean myself of any trace of the PMO influence ingrained by the armies, so help me Order. I pledge myself to the Order! why not add the new title "Lord" for those who commit in the holy war against the PMO and victorious among others peoples. "From this day forward I pledge my loyalty to the Order of the Wallflower. I will do my best to honour the group and learn from the others who have dedicated their time towards this. You haven't posted anything for a year, is this group dead? If anyone is interested I can reassign the group to them. @Kenzi would you be interested in leading the group? That's super sweet, but I'll be honest... I wouldn't even know where to begin. Thank you for the kind offer tho! I understand. Thanks for posting about this, we always try to make sure that group leaders are active. If anyone else is interested, please just post here! Though group leadership is different for each group, of course, at its base it is moderating group discussions, approving new members, dealing with troublemakers (if any) and making sure new members are welcomed. The thought drifts through my head, behind blue eyes, brown hair and beard. Eighteen years..... of entrapment, slavery, addiction, doubts, countless demons had left their scars on my body and soul. I've come to appreciate a sharp edge. They hurt less. But what I was missing was an edge to my spiritual sword. I've gained many tools over the years: a Bible and prayer, work ethic and drive, emotional resilience and wisdom. Still the sins of my poor choices have haunted me to these doors. They seem stuck with decay and dust. Noone has been here for while. I smile. It is the same as what I am finding in my own journey. I throw my shoulder against the doors and they slide open coming to rest on the walls with a hollow bang. Scraps of shadow flee as my footsteps echo through the empty halls. I raise my lantern high, my worn sword at the ready, heavy oak staff on my back. Seems deserted. Tattered banners and tapestries line the walls. Names etched and marred underneath. Up flights of stairs I climb. There in the Greatroom, I see the occupants of this fortress. They were alive once. Many had been dried up husks for a while. The table was yards long, stacks of coins in front of some, gilded shields hung on the backs of chairs. Fancy swords lay moldering under layers of filth and decay.
" Not unlike my own Castle O'hangluinn back home," I mutter. As I approach the head of the table, I see what was once a proud wizard. Now just a slumped over pile of bones covered in pretty rags. I push the corpse over and look at what he was over. It was a book, a ledger of sorts,filled with pledges and stories. There were knights and paladins, swordsmasters and squires. I took a charcoal pen out of my backpack sat down in the dusty chair and began to write. I, Intelli Gent, am a man no different than anyone else in this book that has come before me. Except for one thing. I will not fall, I will not falter, I will not forget nor be forgotten. I do not fight for God, my Lord will fight for Himself, instead I will do as He calls me to do. To fight for me, my wife, my family, the soldier next to me and the walls I live in. I pledge to teach those who need help, to encourage the low, to remind the haughty, to correct those who are in error and the purge ever trace of PMO and the root cause my own insecurities from my life and the lives of those around me. I may be the only one in these dusty halls. I may be the last one in this book, but I promise to leave what I learn here and elsewhere. Fight for yourself, for your family, for your home. May God strengthen the weak knees and faltering hands. As I search the dusty halls of Wallflower Fortress, I come across an odd chamber. Seven sided, the walls were etched with odd symbols. The floors scored with strange marks. Sulfur and saltpeter stung my nose. Squatting down near one of the lines, I took out flint and steel. Striking it a spark hit the line. The room blazed with light. A heptagram! The symbols on the walls depicting a strange elephant like creature covered in shaggy hair.
" The Mammothrept? " I murmured. So this is a summoning chamber. My curiosity piqued, what the hell I thought. I didn't become Intelli Gent by not discovering new things. Clapping my hands together, i shouted in my loudest voice. ," @themammothrept are you still present here? Or are you as dead as those bones at the table?" "Must be broken," I shrug my shoulders and scan the room. To my surprise, I see a broom closet off to one side. "Chores always do keep my hands busy and away from PMO and my tally," I said as I opened the door grabbing a broom and dust pan. Sweeping the room clean and disposing of the dust and ashes in one of the flower bins outside, I breathed a sigh of relief. "Clean houses relieve stress, and stress free lives take away a little power from PMO as well," I said as I walked back to the Great Room.